Fusarium patch are diseases caused by the fungus Microdochium nivale. The causal organism of these diseases, Microdochium nivale, was formerly known as Fusarium nivale. To avoid confusion, Fusarium was retained as the disease name. Pink snow mold is a true snow mold since it develops under snow cover. The disease gets its name from the accumulation of pink fungal spores that pile up on the leaves of infected grass plants, producing a pink cast on circular patches of matted grass. Usually only leaves are attacked, but under conditions favorable for disease development the fungus may kill the crowns and roots as well. Thus, pink snow mold can be more severe than gray snow mold. 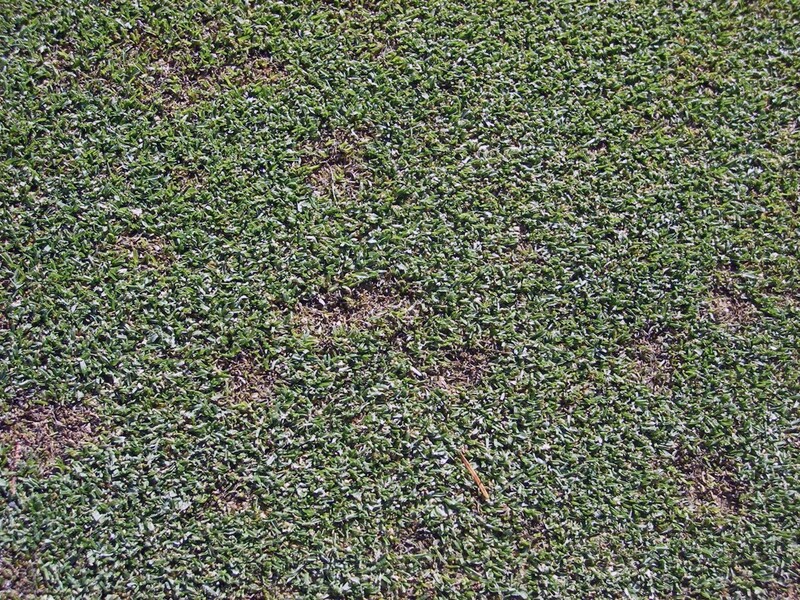 Fusarium patch is similar in appearance to pink snow mold except that the centers of the patches are not usually as matted. 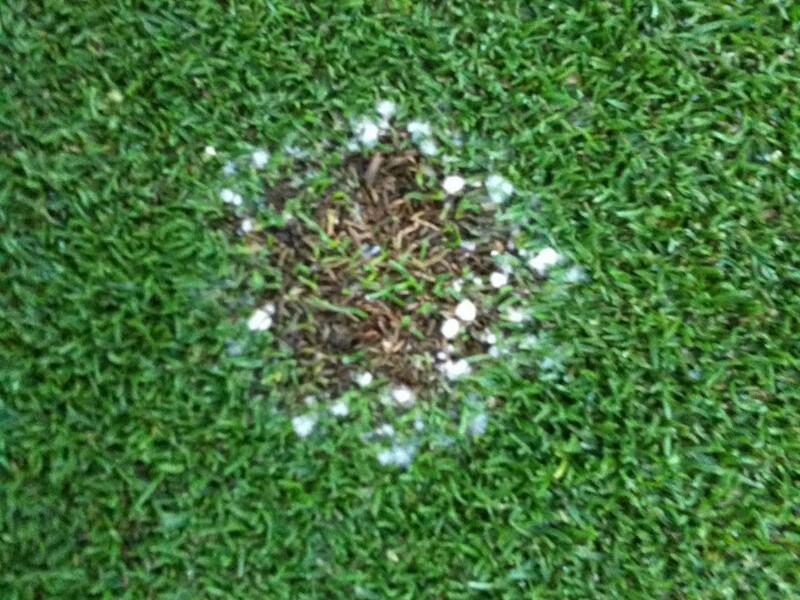 Often, a fluffy growth of mycelium can be observed around the periphery of the patch. During periods of cool, wet weather from October to April, Fusarium patch may appear when temperatures are in the 5° to 10° C range. If pink snow mold develops in the cold, wet weather in early fall, the fungus may continue its activity through the winter and into spring. Damage to the turf is then likely to be quite severe and long-lasting. The fungus survives warm dry weather as dormant fungal mycelium or as dormant spores in soil and thatch. Spores germinate in cool, wet conditions, producing hyphae that infect grass leaves. Fusarium Patch mold usually can be managed successfully in home lawns without fungicides provided the lawn has been established for more than a year. Mow on a regular schedule well into the fall, and avoid high unclipped grass that tends to fall over and mat under snow cover. Try to avoid creating snow banks when removing and piling snow from sidewalks and driveways. Straw mulches and piles of leaves provide a favorable environment for pink snow mold and should be removed from the lawn before snow fall. In general, creeping bentgrass and perennial ryegrass are most susceptible to this disease, whereas Kentucky bluegrass and the fine fescues are only moderately susceptible. Fusarium patch is typically only a problem on golf courses and can be managed by maintaining a balanced fertility program and avoiding excessive nitrogen applications in mid-fall. 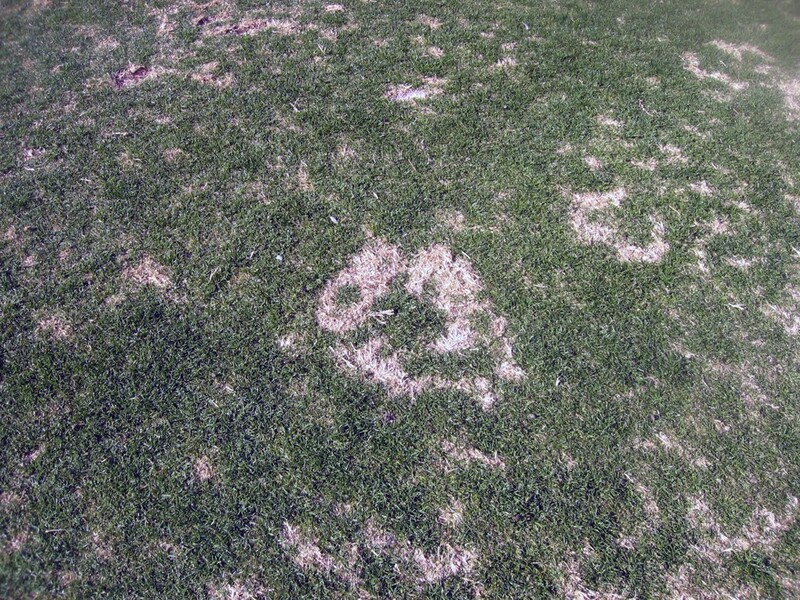 Fungicide treatment may be needed to control pink snow mold and Fusarium patch in new turfgrass seedings or if a history of unmanageable outbreaks is known. On golf courses, fall or spring fungicide applications may be needed in cold, wet weather.